Oximeter batteries come in different shapes and sizes to match the equivalent voltage and provide the most adequate power to keep the device functioning properly. The 3.6 Volt Lithium Battery, by Drive Medical, is battery type that will power the Fingertip Pulse Oximeter (Model 18700). 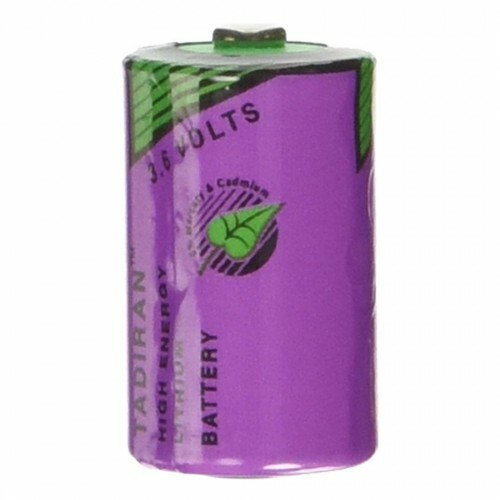 The 3.6 Volt Lithium Battery is shaped similar to traditional AA alkaline batteries, but work with different chemistries. Using a alkaline battery in the Drive Fingertip Pulse Oximeter would not work and could potentially damage the Drive Diagnostic device. To replace the old battery in the Fingertip Pulse Oximeter, the user would simply remove the battery cover from the front of the unit with a flathead screwdriver. The old battery would simply be removed and disposed of accordingly. Then insert the new 3.6 Volt Lithium Battery with the polarization aligned with the diagram -- positive and negative sides at their respective areas. Then the battery cover is just pushed on to snap shut. The battery fits Drive model 18700. The lithium battery is designed in a compact AA format. The batteries are easily inserted into the oximeter housing.